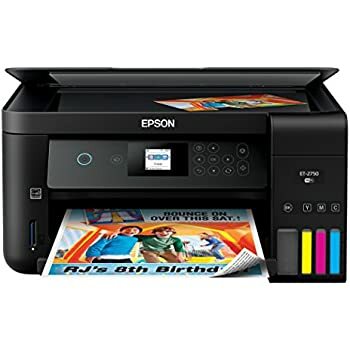 Cartridge-free printing — comes with up to 2 years of ink in the box (1). 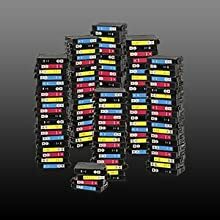 Includes enough ink to print documents up to 14,000 pages black/9,000 color (3) — equivalent to about 30 ink cartridge sets (2). 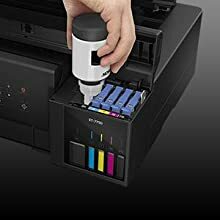 Save up to 80 percent on ink with low-cost replacement bottles (4) — plus easy-to-fill, supersized ink tanks. 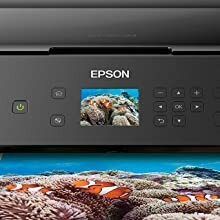 Featuring 5-color inks, the wide-format Expression Premium ET-7750 wireless EcoTank all-in-one offers revolutionary cartridge-free printing with easy-to-fill, supersized ink tanks. 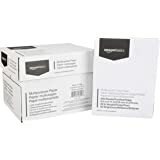 It includes up to 2 years of ink in the box (1), equivalent to about 30 ink cartridge sets (2). That’s an incredible amount of ink — enough to print documents up to 9,000 pages, or thousands of 4" x 6" photos (3). 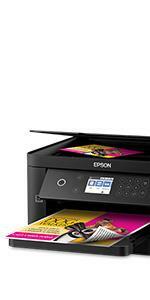 Plus, it features Epson exclusive auto-stop ink bottles, with each color uniquely keyed for easy filling of each tank. And, you save up to 80 percent on ink with low-cost replacement bottles (4). 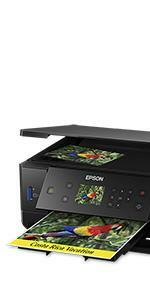 The ET-7750 also prints up to 11" x 17" and includes paper and photo trays, plus built-in USB/card slots (5). 1. 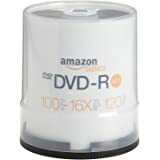 Based on average monthly document print volumes of about 300 pages. 2. 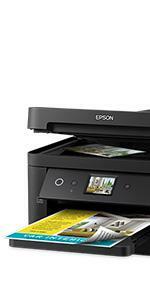 Included ink bottle yields based on the ISO/IEC 24712 pattern with Epson’s methodology. Actual ink yields will vary considerably. 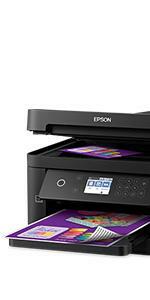 All ink colors are used for printing & printer maintenance & all colors must be available for printing. For details, see our official site. 3. Cartridge sets estimate based on print yields of included Black & color ink bottles as compared to Epson standard-capacity ink cartridge sets for similarly featured cartridge printers as of March 2017. 4. Savings comparison based on purchase cost of replacement ink bottles & cost of enough cartridges to achieve total page yields of bottles. See product description below for details. Up to 2 years of ink in the box (1). Print documents up to 14,000 pgs bk/9,000 clr (3). Equivalent to about 30 cartridge sets (2). 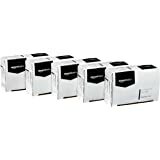 Save up to 80% on ink with replacement bottles (4). Uniquely keyed auto-stop 5-color ink bottles. Print docs & photos up to 11" x 17". Paper/photo trays plus rear feed (6). Built-in USB & card slots (5). Comes with up to 2 years of ink in the box (1). Equivalent to about 30 ink cartridge sets (2). Plus easy-to-fill, supersized ink tanks. 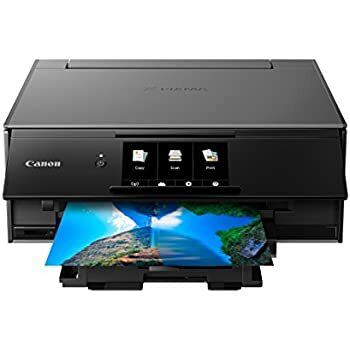 For printing high-quality documents and photos up to 11" x 17". Dedicated paper and photo trays, plus a rear specialty feed (6). With built-in USB and memory card slots (5). 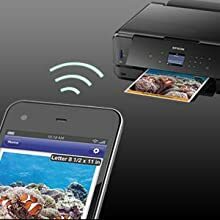 Easily print from iPad, iPhone, Android tablets and smartphones (7); includes Wi-Fi Direct (8) and Ethernet. 2. Equivalent cartridge sets estimate based on print yields of the included Black and color ink bottles as compared to Epson standard-capacity ink cartridge sets for similarly featured cartridge printers as of March 2017. 3. 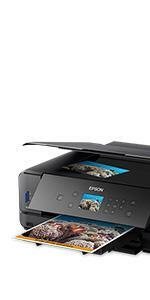 Included ink bottle yields based on the ISO/IEC 24712 pattern with Epson’s methodology. Included ink bottle photo yields are significantly lower and are based on the ISO/IEC 29103 pattern with Epson’s methodology. Actual ink yields will vary considerably for reasons including images printed, print settings, temperature and humidity. Yields may be lower when printing infrequently or predominantly with one ink color. 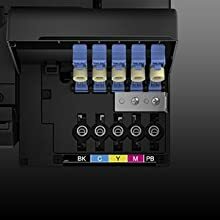 All ink colors are used for printing and printer maintenance, and all colors must be available for printing. For more information, visit our official site. 4. Savings comparison based on the purchase cost of replacement ink bottles and the cost of enough cartridges to achieve the total page yields of the bottles using the manufacturers' online prices and yields for the highest-capacity cartridges for the best-selling similarly featured consumer inkjet printers priced at $499 or less per NPD, July 2016. Actual savings will vary based on print tasks, print volumes and usage conditions. 5. Adapter may be required. 6. 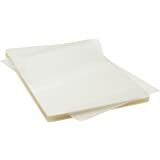 Specialty paper support accommodated through rear paper feed, maximum 23 mil paper thickness, manual 2-sided printing only. 7. 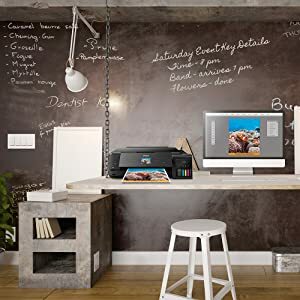 Most features require an Internet connection to the printer, as well as an Internet- and/or email-enabled device. 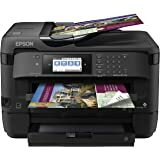 For a list of Epson Connect enabled printers and compatible devices and apps, visit our official site. 8. Wi-Fi CERTIFIED; level of performance subject to the range of the router being used. 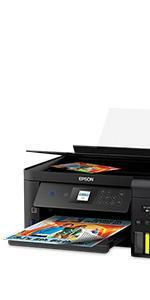 Wi-Fi Direct may require printer software. 9. 12 months of standard limited warranty or 50,000 plain paper sheets (whichever happens first). 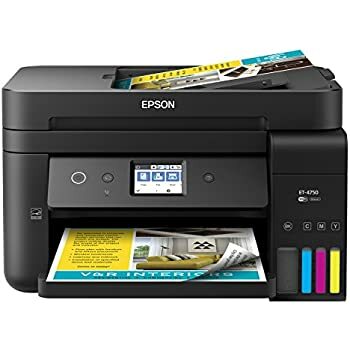 For an additional 12 months (total of 24 months or 50,000 plain paper sheets, whichever happens first), register your product and use Epson genuine ink bottles. See Limited Warranty for details. 10. ET-2500/2550/2600/2650/2700/2750/3600/3700/3750/4500/4550/4750/16500 included ink bottle yields based on the ISO/IEC 24712 pattern with Epson’s methodology. 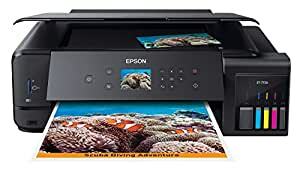 ET-7700/7750 included ink bottle photo yields are significantly lower and are based on the ISO/IEC 29103 pattern with Epson’s methodology. 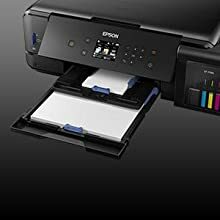 WF-R4640 included ink pack yields are estimated based on ISO/IEC 24711 test in Default Mode printing continuously. Actual ink yields will vary considerably for reasons including images printed, print settings, temperature and humidity. Yields may be lower when printing infrequently or predominantly with one ink color. 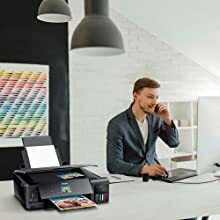 All ink colors are used for printing and printer maintenance, and all colors must be available for printing. For more information, visit our official site. 11. 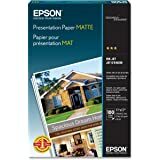 Based on average monthly document print volumes of about 150 pages (ET-2500, ET-2550, ET-2600, ET-2650, ET-2700, ET-2750, ET-4500), 300 pages (ET-3600, ET-3700, ET-3750, ET-4550, ET-4750, ET-7700, ET-7750, ET-16500), and 800 pages (WF-R4640). 12. For convenient and reasonable recycling options, visit our official site. 13. SmartWay is an innovative partnership of the U.S. Environmental Protection Agency that reduces greenhouse gases and other air pollutants and improves fuel efficiency. 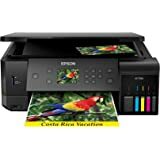 I've had HP Officejets, a couple of Epson Stylus 800s from a decade ago, several Epson 4630s and recently two 4740s. 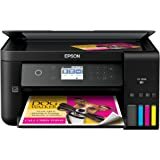 I blasted the 4740s in my review of that printer. Both of them ran out of ink after about 375 pages and replacing the ink was going to run me $160. Ridiculous. 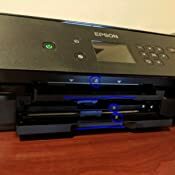 So I was ready to swear off Epson forever. But then I saw this baby get announced. The idea of paying through the nose up front, but being able to print worry-free thereafter, well, it sounds fantastic. At least on paper. I've only had this printer for a couple days, but so far I'm very impressed and hopeful. It's a joy as you literally POUR fairly gigantic bottles of ink into this thing. And I don't know if this is universal, but mine included a full second round of ink bottles. It at least seems like I'm swimming in ink now. This new incarnation of EcoTank is pretty slick. The bottles are designed so you can't connect them to the wrong spot and I couldn't find a way to make them spill. 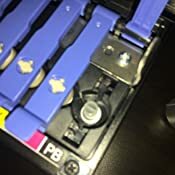 They only open up when they're connected to their proper slot. Then they stop automatically when the tank gets full. They gave me enough that even after charging I still had a tiny bit of ink left over. And a full second round of ink that I didn't even touch yet. I've only printed one 4x6 photo so far, but it is as good as I've had printed at the store. The one thing I'm tempted to complain about is the drawer system. At first I thought I would need an advanced degree to figure out how to use them. Once you see how they work, it's not too complex, and it's definitely ingenious. 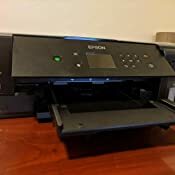 They find a way for you to have a separate drawer for normal sized paper, a smaller drawer for photo prints, and even a CD printing tray. But they're super small. And they're very close together. And awkward to get to. And hard to put paper into. And the output tray feels like you're breaking it when you open it. So I admire the way they've packed so much into such a very small space. But I suppose in the end I'd rather make this thing an inch or two taller in exchange for a little more room to work with those trays. -I believe the top part is where the CD tray goes. -Then the "main" paper tray for letter size and such. -You can see there's not much room to work in there, and when you extend the output tray, you can't access them at all. -Again, it's actually very workable. But if you're burning through 500 sheets regularly, this isn't for you. However, my wife really likes how "small" it is. It's obviously wider than our other printers, but to her it seems more compact. I agree. It's wider, but very low profile. And it looks good when you close up the paper drawer and fold down the screen. I guess it's made for less frequent, but higher quality printing than our other Workforce Pro types. So that's my ramble. I LOVE the idea. I'll have to check back in a year or two to see if the whole thing malfunctions or fails to last long enough for it to be worth the gigantic upfront cost. But for now it seems pretty awesome. 5.0 out of 5 starsHigh quality photos and very low ink costs! 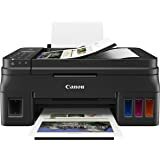 Spent days researching printers trying to find something that would provide above average photo quality, inexpensive prints, and a decent scanning functionality. My first attempt was a Brother Inkvestment printer which had relatively low ink costs but the print quality was very poor (trees turned red, colors were washed out). I was very disappointed with that printer and couldn't find anything on Amazon with consistently positive reviews so decided to go into an electronics store to compare print quality. 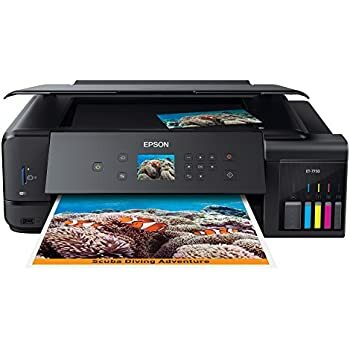 Found the ET-7750 which had very good photo samples in the store so decided to make the plunge and buy the printer on Amazon (they were having a sale for $550). Took about an hour to setup (all very easy and straightforward, but the ink took a while to load). Immediately tested a photo print on glossy photo paper and did a side by side with the Brother print saved from earlier. The quality is OUT OF THIS WORLD. Really stunning photos with deep saturated blacks (thanks to the photo blank ink). The scanner works well, the printer is fast, have had zero issues with wireless, and paper jams have been infrequent. Even better, have done 20 high quality photo prints and the ink is essentially unused. I can tell the long term ink costs on this printer will be minimal. 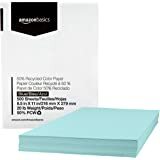 The only improvement I would like is to the quality of the paper trays/paper handling but still find that it's okay (not as amazing as the rest of the printer but not a deal breaker). 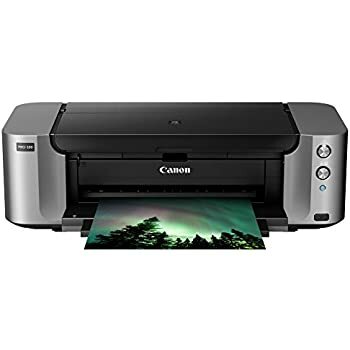 If you're looking for high quality photos, good text and graphics, good scanning, wireless, large format prints, and almost no ongoing ink costs, then this IS the printer. 3.0 out of 5 starsMaintenance Box not yet available to purchase. 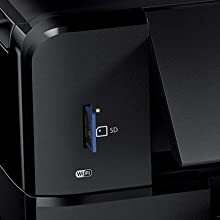 I'm going to preface this review with the fact that I print A LOT and so the 2 year supply of ink that came with this printer is almost gone in 3 months. It's the reason I wanted the eco-tank option and I am ok with that, as it is still cost effective on the ink usage. 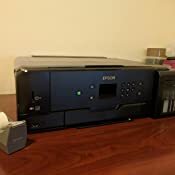 However, this printer also has a maintenance box which is very small and so I have also gone through the two boxes that came with the printer, despite never running a clean on this myself. I assume it automatically runs a clean periodically. 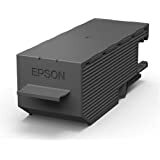 Again this would not be an issue except for the fact that the maintenance box is not available to purchase as yet - not through Amazon, any Epson reseller or even directly from Epson themselves! as they "didn't expect anyone to need one so soon"!! That quote was from someone in their support team. So if you are buying this because you like the idea of the ink tanks for heavy usage then you might want to check that maintenance box is now available online. I've only had it a couple of weeks, but I have used it for printing self-published workbooks for a class I teach and it did a terrific job -quiet, fairly quick, good color, contrast and saturation. 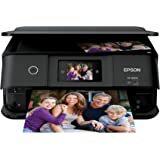 I also, as a photographer needed a printer that can do a reasonable job and photos. This surpasses my expectation. So far, I'm very happy. Late delivery by FedEx was the only problem. Install took about an hour - download should be started before anything else. Ink loading is clean, easy, and foolproof due to nozzle design. I did WiFi setup from the panel, so don't know if setup dialog could have found it. Text docs are crisp. Photos are very good. To test the scanner, I printed a color wheel, scanned, then printed. Scanner settings had to be changed to reflective (glossy photo paper) to get good results. Side by side comparison showed some slight color difference, but very little. I doubt that without a comparison, no one could see the color difference. 11x14 with high quality took several minutes, but the result was impressive. I'll update if I find anything significant.